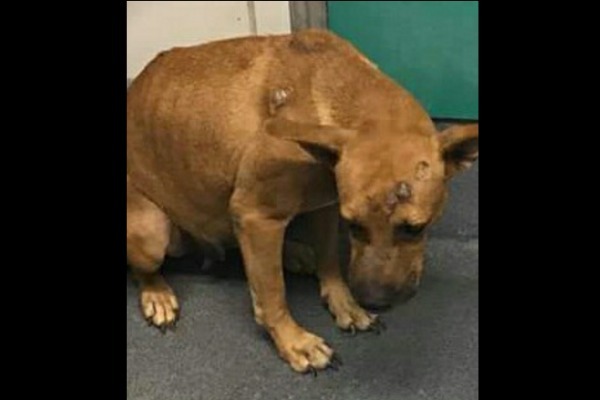 This photo is Cooper ID#447038 at ACS San Antonio TX, this 2yr old terrified girl is alone scared and wont even look at people, she isnt being posted to save her life because she is so shy so she sits alone and scared, wanting to live, to scared to look anyone in the eye. So not aggressive, if you want to help her she needs a foster now for any rescue to help her before the needle is put in her leg and she leaves never knowing what she did wrong or even why she was born in the first place. To adopt me, call (210) 207-6666 or email acsadoptions@sanantonio.gov. To foster me, call (210) 207-6669 or email acsrescue-foster@sanantonio.gov. If you are with a rescue group, call (210) 207-8173 or email acsrescue-foster@sanantonio.gov. San Antonio Animal Care Services at (210) 207-4PET.